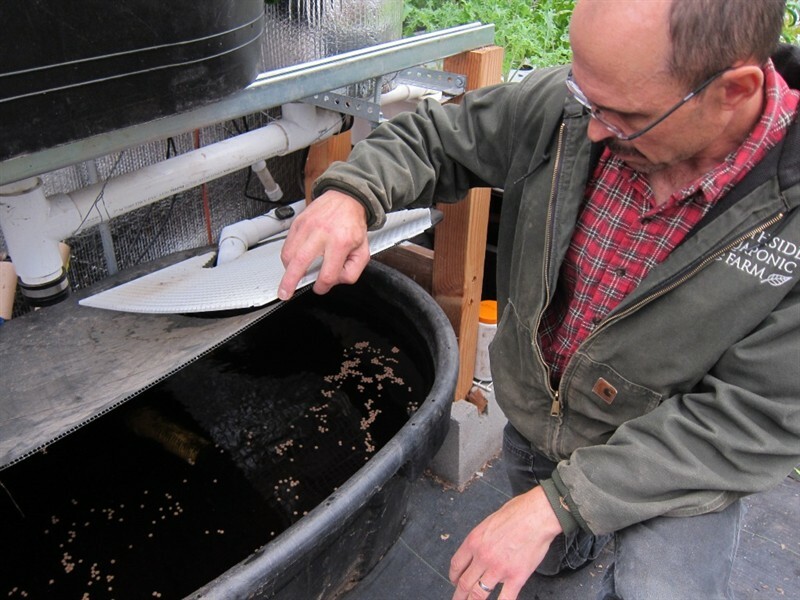 Paul Trudeau with Southside Aquaponics inside his backyard greenhouse. Paul Trudeau unlocks a gate that leads to a small backyard greenhouse in the Southside neighborhood of Sacramento. It’s no ordinary greenhouse. Inside a tank holds several fish that he’s using to grow food. The process is called aquaponics. “The fish exhale ammonia through their gills, and then different beneficial bacteria in the system convert that to nitrate,” says Trudeau. Nitrate makes great plant food. Trudeau says water from the fish tank circulates to the plants that sit in the water. Trudeau had a business license to sell the food to restaurants, but he wanted to expand. He found an oddly-shaped commercial lot in a blighted area and found an owner willing to let him put a greenhouse on it. But then he ran into trouble. Hanson favors changing the ordinance. Despite a lack of opposition, it’s a difficult process. The Sacramento Urban Agriculture Coalition has spent over a year trying to change the law. Organizer Matt Read says zoning changes just take a very long time. It’s also when city attorneys get involved. Read says he has a flow chart describing the approval process.